This dataset includes information on demographics, the prevalence of cigarette smoking and other tobacco use (smoked and smokeless), knowledge and attitudes about tobacco use, exposure to second-hand smoke, desire for smoking cessation and training received regarding patient counseling on smoking cessation techniques. Numerous studies have illustrated that even brief and simple advice from health professionals can substantially increase smoking cessation rates. In 2005, the World Health Organization (WHO), the US Centers for Disease Control and Prevention (CDC) and the Canadian Public Health Association (CPHA) therefore developed the first survey that collected information on health profession students (e.g. medical, nursing, dental and pharmacy) cross-nationally using a consistent methodology. The data source for this dataset is Global Health Professions Student Survey (GHPSS). 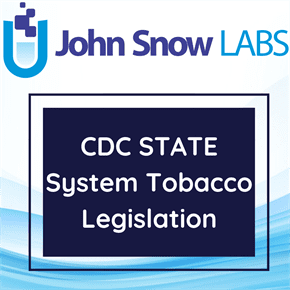 It uses a common methodology and core questionnaire to systematically monitor health professions students’ tobacco use and track trends over time in tobacco-related knowledge, attitudes, behaviors and environmental influences. This research is also about training the health professionals that how different methods can lead to reducing the tobacco use among people and their usefulness in the long run.